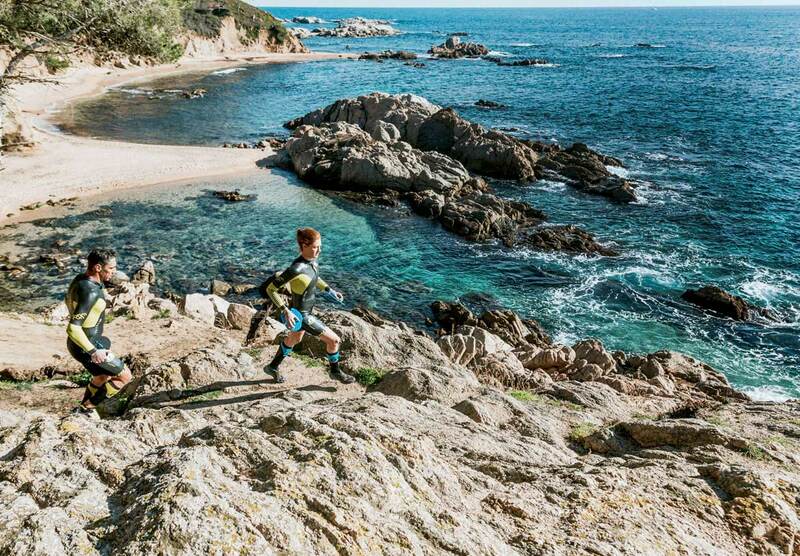 Start your swimrun season in the best possible manner with a long training weekend along the wild and fantastic Costa Brava, 1,5h north of Barcelona. You will get three days filled with Swimrun adventures, techniques, transitions, open water swimming, pool session, trail running, running technique, specific yoga for swimrunners and injury prevention strength training. We stay at Hostal La Fosca, a small hotel located along the beach of the La Fosca bay. Breakfast and dinner are served at the hotel while lunch is served where we train that day. There will be a lot of training but also some spare time to enjoy a cold beer in the sun, have a massage, rest and enjoy the surroundings. In order to keep the training camp personalized the amount of spots is limited to 14 people per camp. We focus on learning and improving while having a good time. 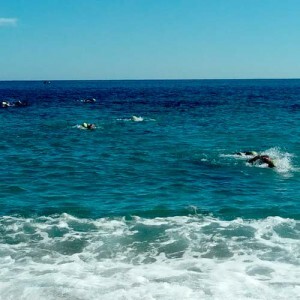 The camp is open to both the newbie and experienced swimrunner and there will be groups within the group for the different levels to guarantee high training quality for everyone. However, in order to make the most out of the camp it’s required that you can run and swim at least 8km & 500m nonstop (time do not matter). The training sessions will be held by professional coaches in each sport. For the swimruns we will have a support car following the route with water and snacks. We have plan A, B & C for the swimrun and open water swimming so that we can make it happen, no matter what the weather is up to. 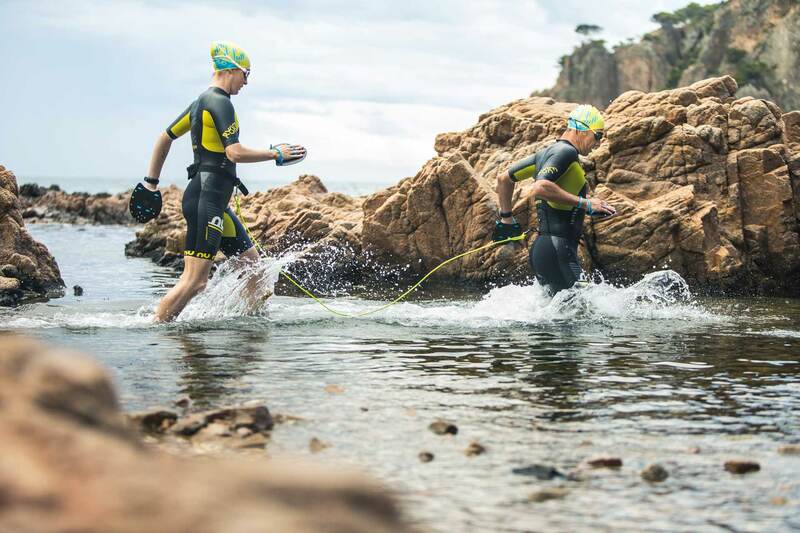 The camp is organized by Sarah Hansson, a Swedish personal trainer, running & swimrun coach living on Costa Brava together with the Spanish incoming training camp agency Agenda Sports. As a team they offer you the best local knowledge and experience with guarantees when it comes to organization, insurance and safety before, during and after your stay. Sarah has been around Costa Brava since 2007 and knows the area as her garden. 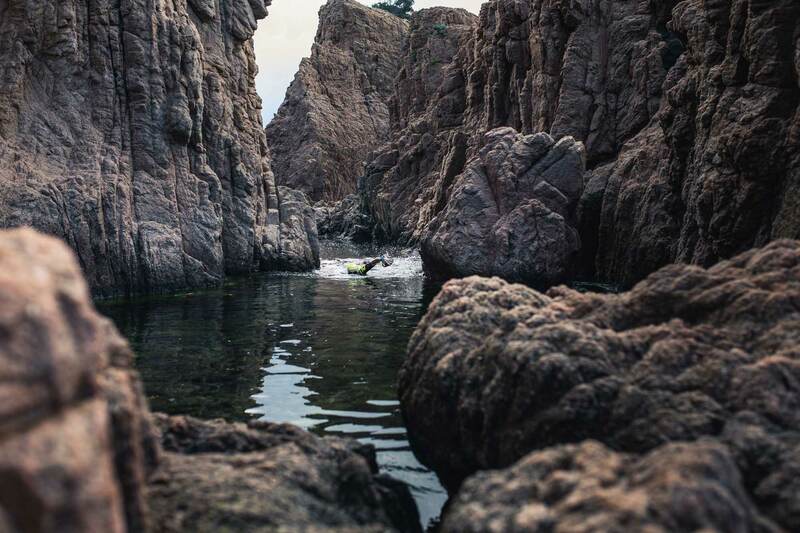 She will take you too the most amazing trails and swims, as well as other hidden gems. Sarah started practicing swimrun in 2016 and has since been on the podium on 7 of 11 competitions, highlighting #2 at ÖTILLÖ 2017 in the women’s category and #2 at Cote Vermeille Ultra 2018 in mix. Agenda Sports was founded in 1993 and they have organized training camps for New Zealand Triathlon, University of Cambridge, British rowing and the Russian Canoe federation to name a few. Barcelona (1,5h) and Girona (40 minutes). Transfer (not included) will be organized once we know the arrival & departure times. 3 nights accomodation in shared double room at Hostal La Fosca , Palamos. The sea is just outside the door! All training. At least (but if you want – more! ): 1h pool, 1h open water, 1h strength, 2h yoga, 1,5h trail running + running technique, 1 long swimrun (3-4h) 1 short swimrun (2h). Airport transfer (around 30€). Options will be sent to the participants once all flights are confirmed. If someone wish to organize the transfer on their own they can do so. 9 am departure from the hotel to the start of our adventure. Briefing of the day and the different options (half or full route). Sunday: Swimrun from the doorstep! 9.30 am More swimrun! We will do a loop from the hotel of 2 -3 hours with the option to go halfway if you’re tired or have an earlier flight. 1 pm. Lunch or picknick to take with you will be available at the hotel. Transfer from the hotel to the airport will be arranged. If possible, get a flight that leaves at 6pm or later. There is also the option to stay an extra night in Barcelona (we can help you to book good value accommodation).